Madonna's new album, her thirteenth studio album Rebel Heart, is yet more proof that regardless of age, seniority, prestige, or the heights already scaled, when you're doing something that burns from deep inside your core, there is no expiry date or fade out to that inner drive. 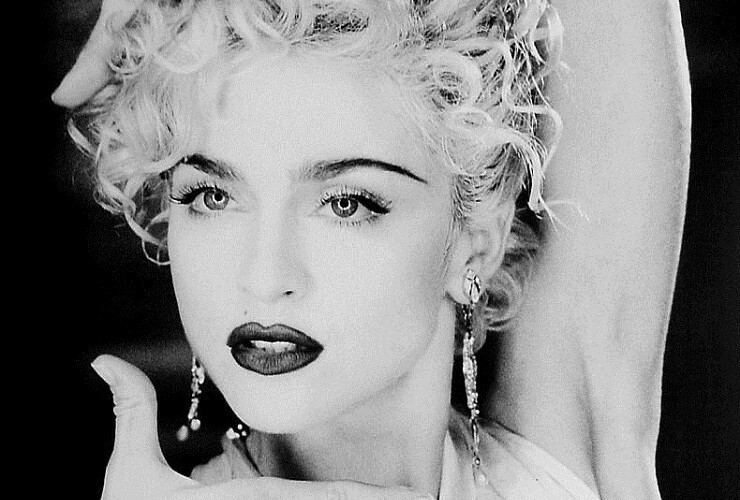 Talking about Madonna, I have a confession to make: she is the only person who I could ever call a role model. Not because of what she does, but because of her courage and her ability to be so utterly true to herself, her dreams and her self-expression. She is someone who, perhaps against the odds, was always true to some kind of internal compass while at the same time expressing herself, being creative, setting goals, and working hard and relentlessly to achieve them. She was one of the pioneers, in the male-denominated 80's music scene, who broke apart the established criteria for success in the world of show business. She had no outstanding voice, no extraordinary beauty, and lacked the right connections, for example. She was the first, soon to be followed by other talented female singers, to build her career by herself, believing in herself, and managing her own progress, preferences and the messages conveyed in her music. I see so much wisdom, authenticity, determination and drive for perfection in her advancement (despite a few hiccups along the way). The first song released from this new album, Living For Love, is another sign of her brave efforts to convey not only the good things that we experience but also the weaker sides of our emotional cravings. Her rebellious behavior, an integral part of her identity throughout her exceptional career, is now going one step deeper, fighting anything which claims to take over her emotions. To me, this song, in its simple and artless way, is not only about a broken heart and disappointment, but also and perhaps more so about the ability to know what you are worth despite the attack on your confidence. It is about the ability to keep on going while also keeping your faith in love, the very thing that caused your fall. Madonna may be "living for love" (aren’t we all?) but her definition of Love is way way ahead of its strictest meaning. Her Love represents everything we feel passionate about; that which makes us feel self-fulfilled and alive. For Madonna, passion is about communicating with the world on so many levels: practically, emotionally, deliberately and intuitively. She describes how she "picked up [her] crown, put it back on [her] head," and these other interpretations of love that we too are experiencing are what can surely help to mitigate the agony and bitterness and keep us moving on and living for love. Enjoy this video clip with its beautiful aesthetics, choreography and narrative! In this realm of dancing bulls, Madonna is quite clearly the matador par exellence! Love's gonna lift me up"